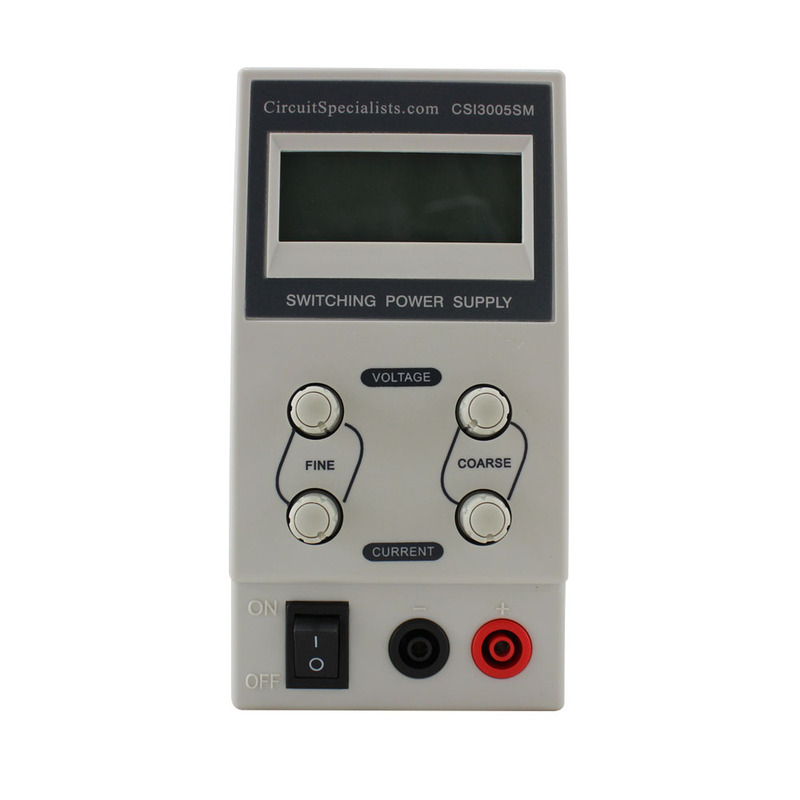 The CSI3005SM is a fully adjustable benchtop power supply with coarse and fine adjustments. 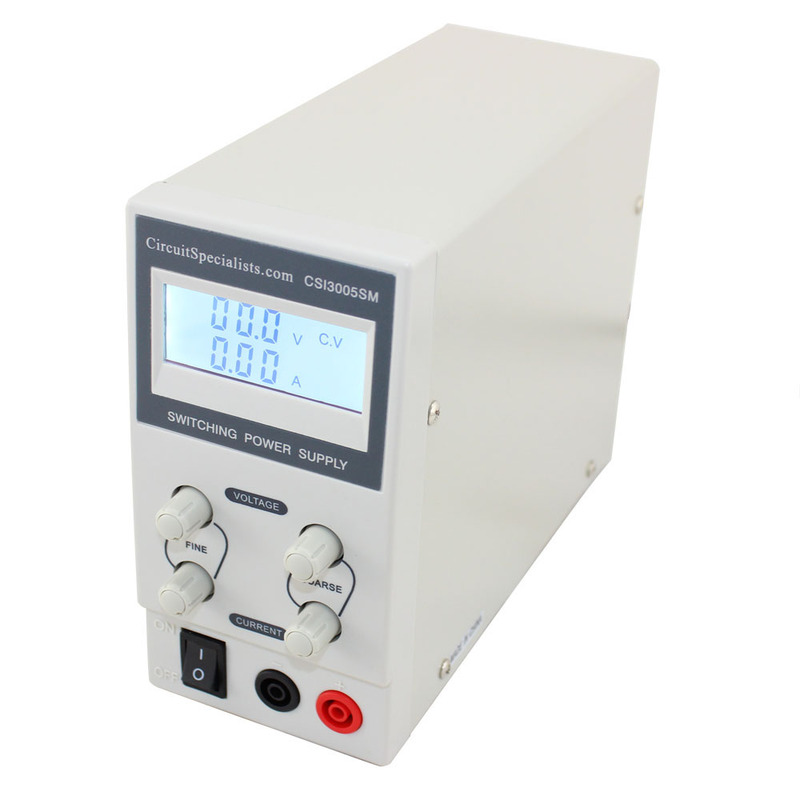 The CSI3005SM is a an affordable, compact benchtop linear power supply. 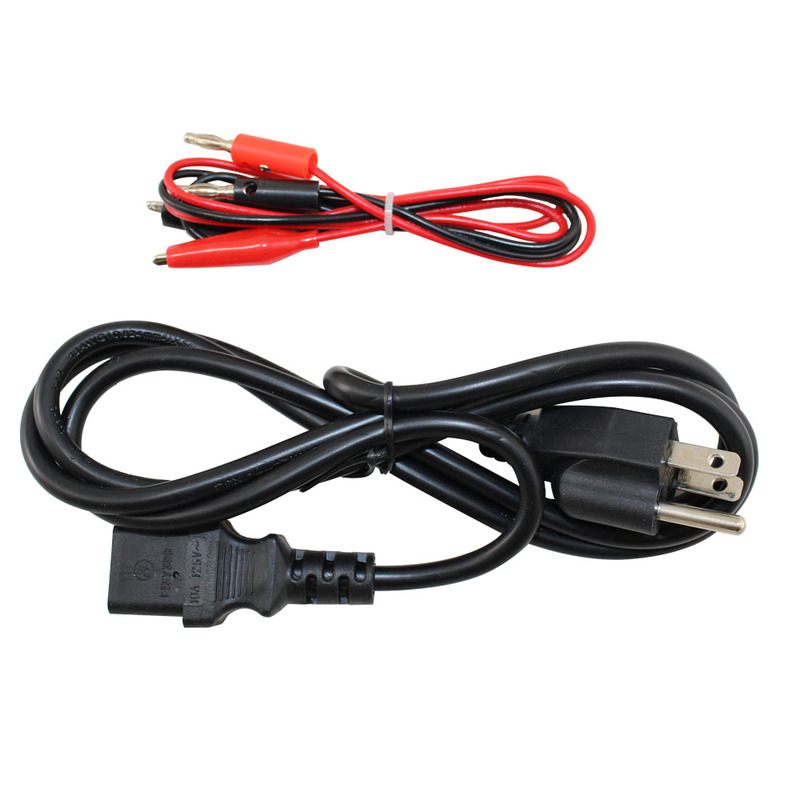 For applications that require a decent amount of clean power this unit can deliver up to 30 volts and 5 amps, and can be preset to any combination of the two. 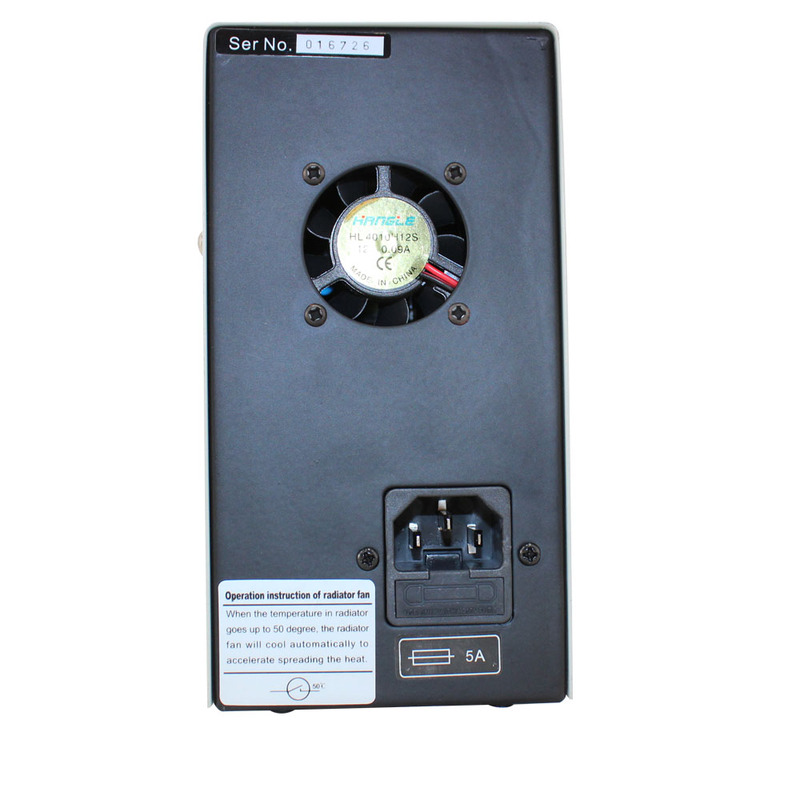 Power levels are displayed on a large, clear backlit LCD display that shows both voltage & current. 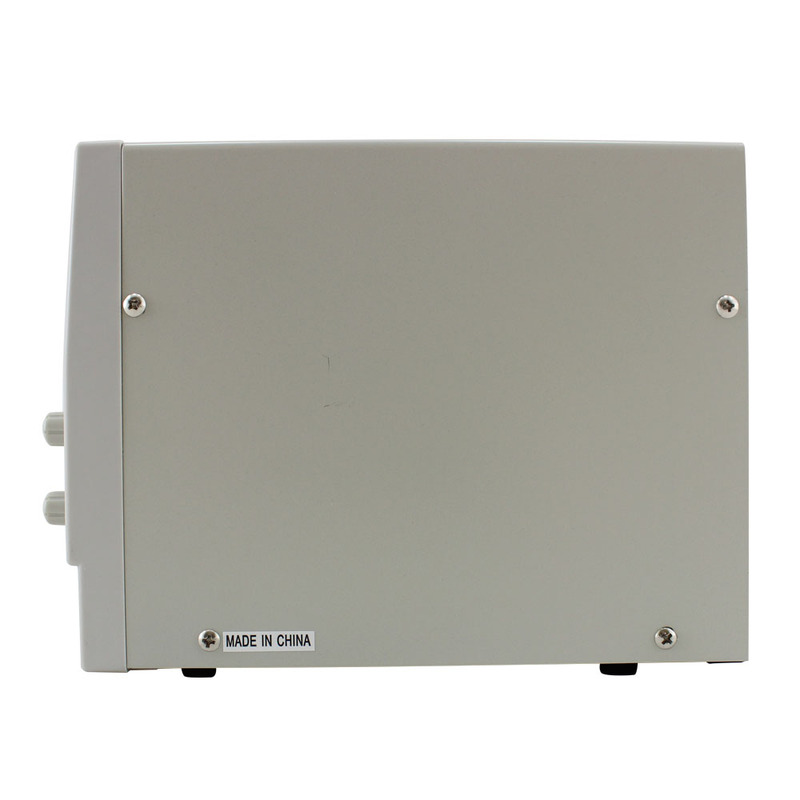 The current and voltage output can be preset by the user via two sets of multi-turn knobs that offer coarse and fine adjustment for precise settings. Output is via a pair of heavy duty front panel terminals. 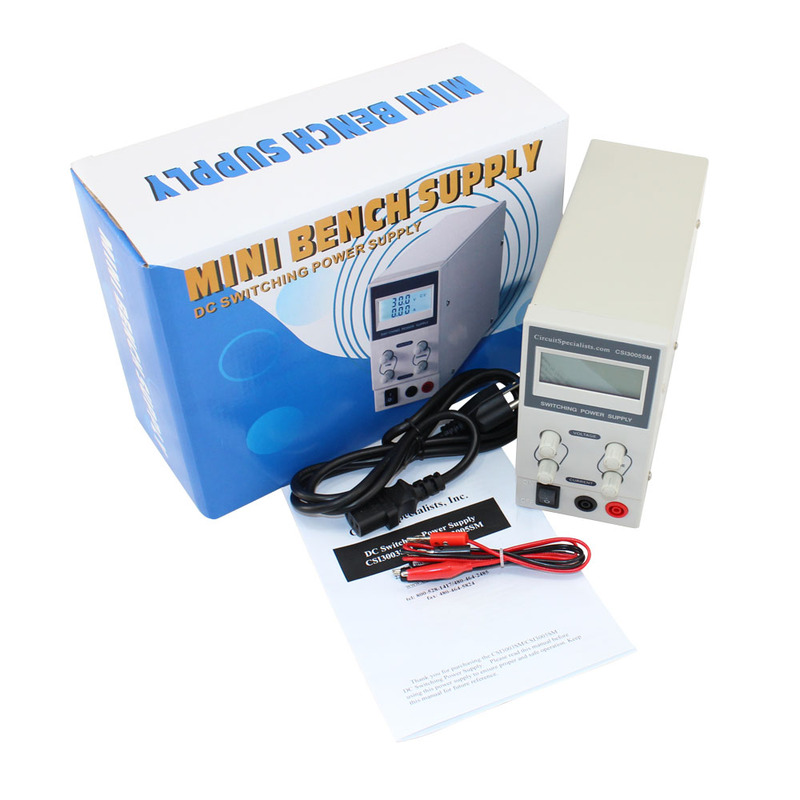 This bench power supply provides precise power output in a compact, affordable package. For more information, refer to the CSI3005SM Owners Manual.